This was a hard post to write. Over the past weekend, I found myself in the horrible situation of losing my beloved pet. It was a sudden illness, with absolutely no warning, and the loss has rocked me to my core. Thursday there was a dog lying warm in her bed, and by Saturday it was cold and empty. I feel uncomfortable even using the word “dog” because she felt like so much more than just an average member of her species. To me and to my husband, she was our child with fur. Intelligent beyond belief, sweet, funny, full of personality- she made me excited to get up every morning, if only to see that smiling face and wagging tail. 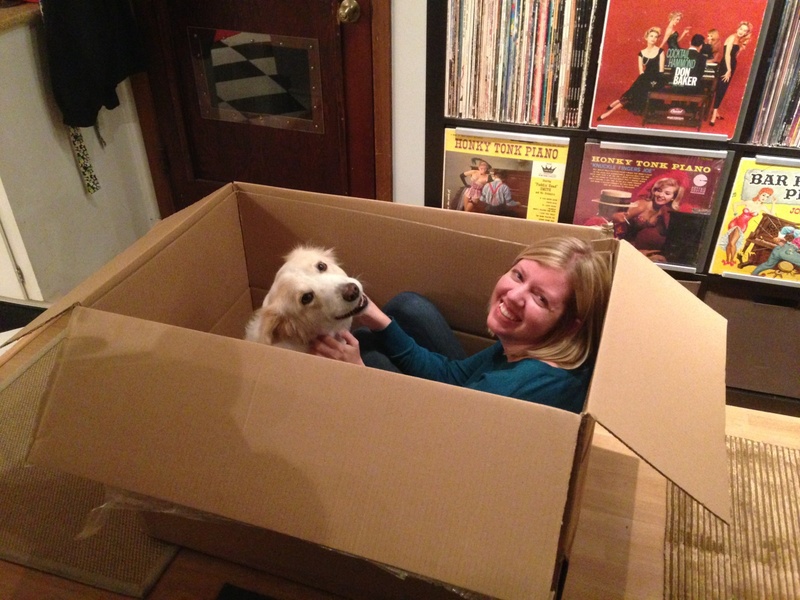 When we lost her, I felt like (and still feel like) an empty shell. Sleeping that night was out of the question- every time I closed my eyes I saw her face, and the tears would start to fall all over again. At loose ends, I found myself awake on the couch at 3am. 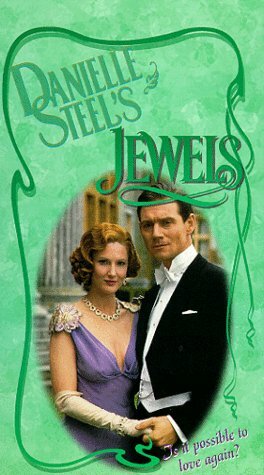 The movie I found some small comfort in was my old VHS copy of Danielle Steel’s Jewels (DVD). At four hours long, I hoped it would carry me through to sunrise, and it did. For those four hours, I sat curled up in a blanket, tissues in hand, and watched this melodramatic story of a Wallace Simpson-type American woman who meets a British duke, gets swept off her feet, endures the ravages of World War II, creates a dynasty and a thriving jewelry business, and does it all while wearing the very best fashions of the day. It was pure escapist fantasy, and exactly the comfort I needed. Pour St. Germain and lemon juice into a champagne flute. 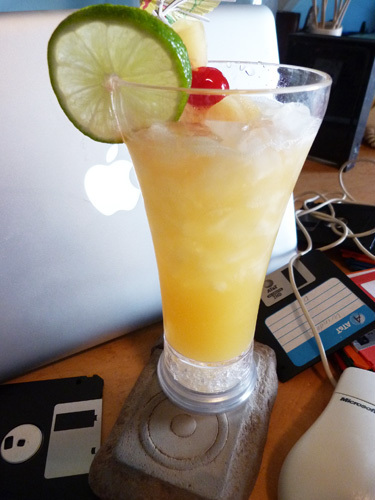 Top with champagne, and garnish with a lemon twist. Grief is a horrible thing, and all a person can do is ride it out. They say time heals all wounds, and I truly believe that. In the mean time, the only thing that is getting me through these initial dark days is the escapism of cinema. Sure, Jewels isn’t great cinema, but sometimes watching beautiful people with gobs of money having trashy affairs with Nazis and european film stars is the only thing that gets me through the night. Tomorrow I’ll go back to watching wonderful, high-brow movies like Boyhood and The Theory of Everything (my 2 favorites for 2014). For now though, I have to let myself cry rivers of tears over the loss of our cherished girl Pickles Marie Hasselhoff, put on a comforting movie, and raise a glass of something bubbly in her memory. Cheers. *Feel free to use the comments section below to tell me what some of your favorite “comfort food” films are. I need all the suggestions I can get. 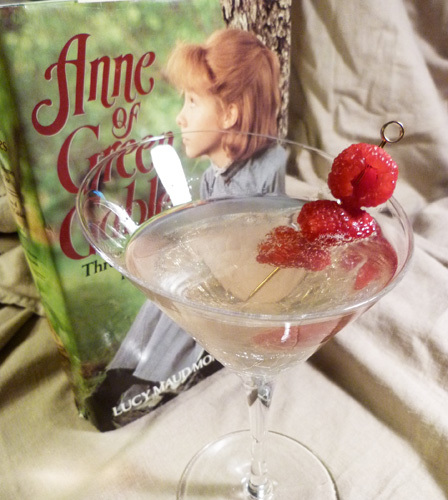 Posted in TV Movies and tagged Annette O'Toole, Danielle Steel's Jewels, French '77 cocktail, TV Movie. Bookmark the permalink.